This is issue number 8 of In The Pipeline which will aim to bringing you the latest news about our Piping Software / Mechanical Addons - plus related trends and much more. In addition we will also track current happenings with any new products & promotions we may have for AutoCAD, IntelliCAD and AViCAD. We welcome any questions you may have about our newsletter In The Pipeline. 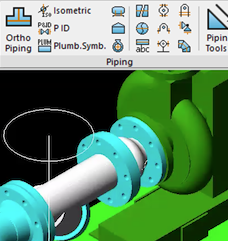 We recently released Mech-Q 4.12 and added more features for AutoCAD, IntelliCAD and AViCAD users. Last update we improved input speed in Piping 3D and Ducting 3D by 40-50%. And just recently, other improvements and additions have been added. With Mech-Q 4 you’ll also receive an updated graphics and ribbon integrated into the dashboard. Along with our Lifetime options, we also have Mech-Q AutoCAD subscriptions plus a recently added BricsCAD Monthly and Yearly subscriptions as well.